BMW has a well-deserved reputation for developing innovative solutions to answer customers’ needs, placing them in the vanguard of the automotive industry. Last month, BMW Group Financial Services announced an innovative program that’s intended to serve customers who are looking to take part in the sharing economy — offering an ideal solution for customers who want to supplement their incomes and either drive for ride-sharing providers or rent their BMW to others when they’re not using it. This leasing program, which gives customers the freedom and flexibility to either drive their leased BMW car or SAV for a ride-sharing company or share it with peers, will launch in Washington, Oregon and California. 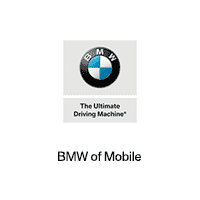 Contact BMW of Mobile to speak with a member of our team and learn more about our inventory of new and used BMW vehicles. We’re proud to serve greater Mobile, New Orleans, Saraland, Fairhope, and Daphne areas.